Arrendale has partnered with Medical Transcription Service Organizations (MTSOs) since the mid 1990s. We provide the platform and IT expertise your customers now require with today’s EHR and HITECH demands. Our web-based TA✚ solution enables you to concentrate on quality and turnaround times, leaving the HL7 engineering and backup tasks to us. We serve small, medium and large MTSOs with your choice of a remote-hosted transactional model or licensed, premise-based software. Arrendale MTSO customers are global with US, offshore and mixed production environments. Efficiency is an MTSO’s top software requirement today. 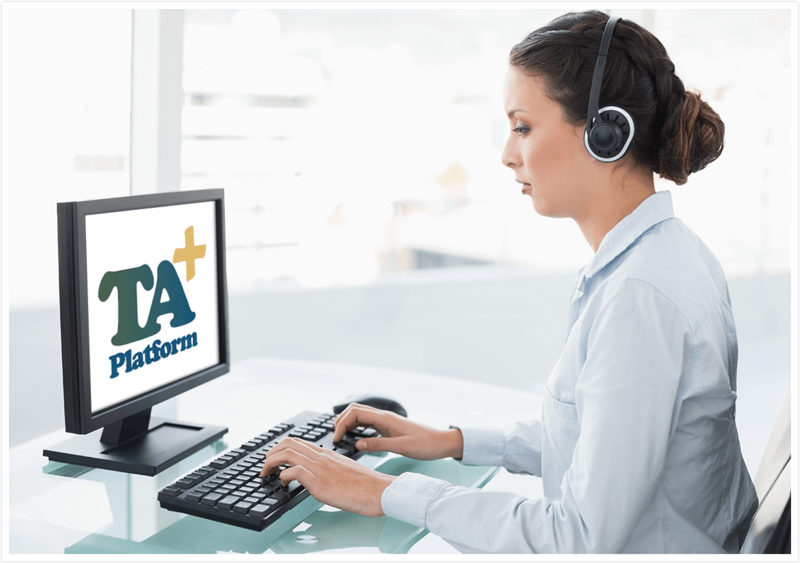 The TA✚ platform delivers with Mobile✚, the smart phone and tablet dictation app, saving time for physicians and optionally integrating patient schedules. Fully featured speech recognition provides a competitive edge regarding cost and turnaround times. Our voice and text synchronization for editors fosters productivity within your staff. The platform’s nine levels of quality assurance workflow and automated transcript scoring increase the accuracy while automating labor intensive tasks. Ease of installation, quick search functions, speedy statistics and invoice creation save time for you and your customers. The Arrendale Support Center understands the urgency of customer care with patient lives at stake and with MTSOs committed to increasingly strict turnaround time achievement. Technicians are 100% US based and available every hour every day for prompt resolution to service calls and interface assistance. Our low ASP fees help MTSOs control and even reduce costs, making a change worth the effort. A call to 800.344.1323 will start the conversation on your needs; we look forward to hearing from you.